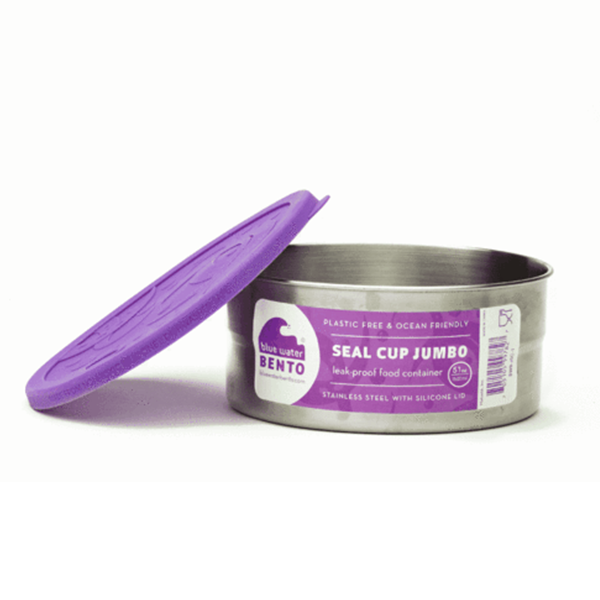 With an attractive purple lid and holding a generous 6 cups, ECOlunchbox Seal Cup Jumbo is the newest addition to the Blue Water Bento nesting cup series. 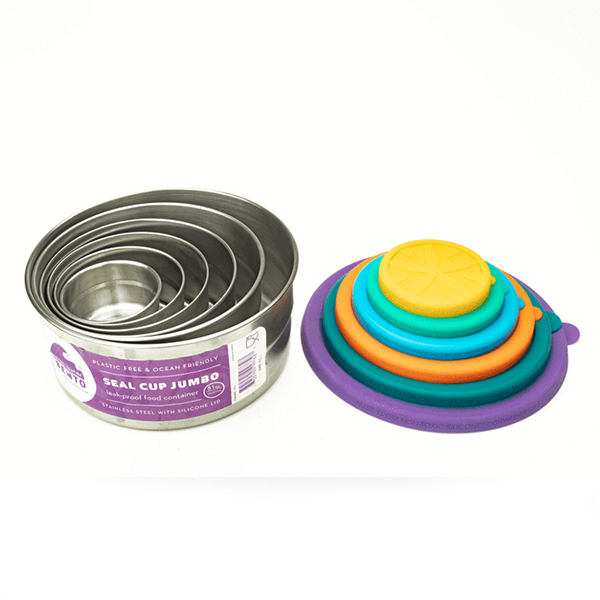 Seal Cup Jumbo will hold the Seal Cups Extra Large, Large, Medium, Small, and Mini compactly in your cupboards. And if you need to buy a few Seal Cup Jumbos, they can also stack thanks to the nifty nesting design. 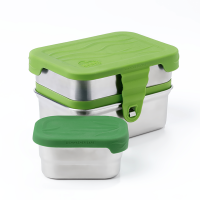 Plastic-free and leak-proof, the non-toxic silicone lid and type 304 stainless container are free of oestrogen-mimicking chemicals commonly found in plastics like BPA, BPS, and phthalates. Measures 18cm (7") diameter x 7.6cm (3") tall. Dishwasher and oven safe. Not for use in the microwave. Capacity 48 oz (6 cup). Stainless steel container tare weight is 5.5 oz. With the lid, tare weight is 9 oz. 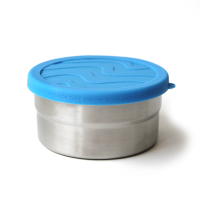 Stainless steel 304 container with leak-proof silicone lid. Made responsibly in China.